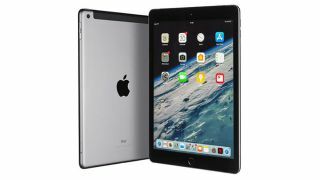 Save up to $150 on Apple iPad Pro and latest iPad | What Hi-Fi? Even more certain than Apple making one of the best smartphones in the world is that the Cupertino giant is behind some of the world's best tablets too. The iPad and iPad Pro have been go-to tablets for everyday users and creatives types alike for years - the former due to its performance-setting and accessibility, the latter because of its computer-like power and capability. And if you've been saving up for one, now is a great time to pounce. There is currently $150 off the 10.5in iPad Pro, as well as juicy $80 savings on the latest, 2018-launched iPad, at Amazon and Best Buy. We said of the iPad Pro 10.5in that "performance and productivity combine in the best tablet money can buy...", while the 2018 iPad is a current What Hi-Fi? Award winner for its all-round capability and good value price.